← Wait a Minute; It’s Still Twenty-Four Hours in a Day. It’s been a while since I took the time to renew the vision of God’s promises being fulfilled in my life. I confess; I have a tendency to allow other trivial details to crowd out my direct line to God’s will and purpose for my life. I am convinced that it is part of an evil conspiracy to distract me from what is truly important. For example, I can’t walk past a framed picture on a wall, anyone’s wall, if it’s not straight. I will straighten it, or it will capture all of my attention to the point that I am not able to concentrate on anything, but the lopsided picture. My worst nightmares are ill-placed receptacles in any building. Sometimes, if there are many lined up along a wall that are not parallel–one may be at a slight angle, another may be higher, or two inches closer to the last one, but uneven–it drives me to distraction to think that I’m living in a Dr. Seuss book layout. You would think, well, if they work, what’s the big deal? Indeed, what is the big deal? Does it really matter, if I have everything placed neatly on the wall? So what, if we paid money to hire a contractor to install the receptacles. Why shouldn’t we expect everything to be as we want it? 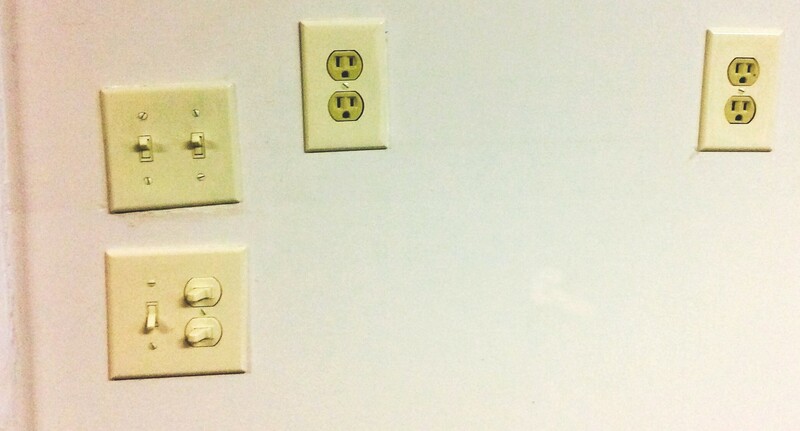 How will this change my quality of life, if the receptacles are haphazard on the wall? I know that in the moment when I look at that wall, all I can see are the flaws; when what I should be focusing on is if they actually work. It’s taken me a long time, to look beyond the receptacles, and see the potential that each one holds independently. There is power in the receptacles that we can connect to, if we learn to look beyond just a casual glance. In our lifetime, we will encounter many people who are still young in their walk with God, who may not have fully reached their potential in Christ, yet, it’s time to see beyond where they are, and get a vision of where the Lord is leading them. Eventually, they will discover that even though they may feel haphazardly placed on the wall, God knows their usefulness to fulfill his plan and purpose for their lives. It only takes time to trust, and allow God to shape the receptacles of his power. Eventually, they will realize that they have power to shine God’s light of love in a sin-cursed world, and even haphazardly placed receptacles can be used to fulfill God’s purpose. I’m so blessed that the Lord didn’t discard this most haphazard receptacle, myself, because he has helped me to realize that even the ones rejected by the world, can produce light, and it’s time to remember the vision. This entry was posted in Lattereign and tagged God's will and purpose, potential, power, use, vision. Bookmark the permalink. Beautiful. I’m blessed that God still wants to use the old receptacle as well. Thanks for the post.